Jonathan Aitken has had one of the most high profile and colorful careers in British public life. His career has spanned the worlds of books, newspapers, television, business, politics, Parliament, prison, theology, charitable service, prison reform, and offender rehabilitation. 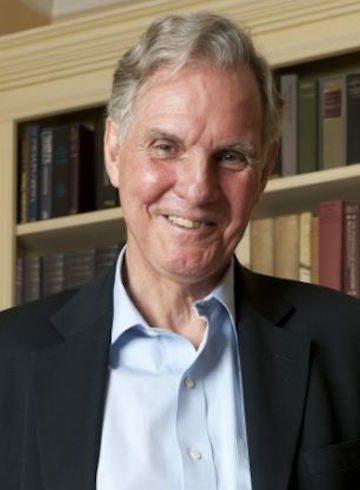 Jonathan Aitken is an author, broadcaster, columnist, lecturer, and campaigner for prison reform. He is a former Cabinet Minister, Member of Parliament, and ex-prisoner. His 15 books include his award-winning biography of President Richard Nixon, Nixon: A Life (1993); and two volumes of autobiography, Pride and Perjury (2000), and Porridge and Passion (2006). His most recent publication is Margaret Thatcher: Power and Personality (2013). His political career included 23 years as a Member of Parliament. He was Minister of State for Defence and Chief Secretary to the Treasury. In 2007 he was appointed to chair the Centre for Social Justice’s policy study group on Prison Reform which produced the acclaimed report: Locked Up Potential: A Strategy for Reforming Prisons and Rehabilitating Offenders. In 2014 he was the author of a new Centre for Social Justice Report: Meaningful Mentoring. After graduating in Law from Christ Church, Oxford in 1964 he became a Fleet Street journalist. He was a senior reporter and feature writer for the London Evening Standard serving as a war correspondent in Vietnam, Biafra and The Middle East. He continues to write articles for a wide range of newspapers and magazines. He is a regular columnist for the American Spectator. After journalism he went into business and became chairman of a merchant bank in the City of London. In 1974 he became a Conservative Member of Parliament spending eighteen years on the backbenches until being appointed Minister of State for Defence in 1992. He joined the Cabinet as Chief Secretary to the Treasury in 1994. His political career ended when he told a lie on oath in a libel action. Subsequently he pleaded guilty to charges of perjury and served a seven-month prison sentence in 1999. After graduating with Distinction in theology after two years at Wycliffe Hall, Oxford (2000-2002) he began a new career as a writer, lecturer, and broadcaster. His wider activities include being a Director of Prison Fellowship International, Executive Director of The Trinity Forum in Europe; Honorary President of Christian Solidarity Worldwide, and in 2015 President of Tempus Novo a charity set up by two former Prison Officers, Steve Freer and Val Wawrosz, to enable ex-offenders to find employment after release. In 2007 he was appointed Chairman of the Centre for Social Justice’s policy study group on Prison Reform. He is patron, president or trustee of several Criminal Justice charities including NACRO, Caring for Ex-Offenders and Blue Sky.